At the beginning of his turn, Zhang Ren can compete with any other player. If he wins, the target loses one of their powers until his next turn. 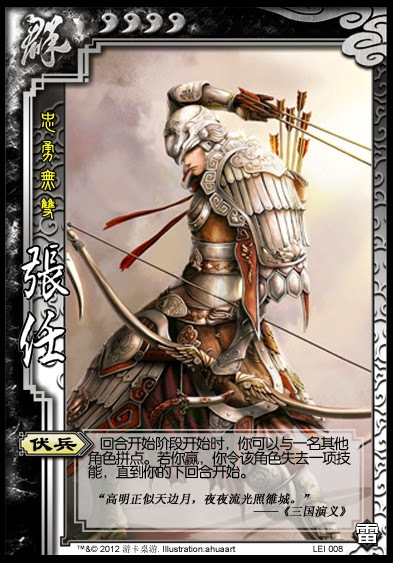 Zhang Ren uses "Ambush" at the beginning of his turn, before he draws. If Zhang Ren wins, he gets to choose which of the targets powers is lost. The power remains inactive until the beginning of Zhang Ren's next turn. There is no penalty for Zhang Ren if he loses.